A specialized understanding of BMW and MINI along with the right equipment to service these vehicles are needed for safe, thorough carbon blasting in Salem, OR. At Prestige Auto, our combined staff experience of over 50 years ensures we will perform quality intake cleaning you can rely on. BMW introduced engine injectors that are inside the combustion chamber, rather than utilizing a traditional intake manifold fuel injection. This kind of direct injection was a great improvement in fuel economy. In fact, it was such a great improvement that most vehicle makers followed suit. The problem with this new technology is that it came with adjustments that were necessary while it was being perfected. Direct injected engines inject fuel straight into the cylinders. The heat from an engine causes carbon molecules that split from fuel and oil vapors to bake onto the intake valves. Over time, the buildup grows and prevents the valves from sealing shut. In other types of engines, fuel washes over the valves, rinsing them clean. 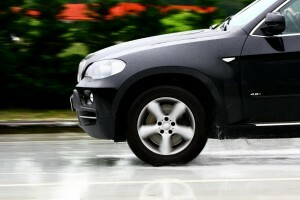 Vehicles like BMW and MINI suffer from a carbon buildup that affects the car’s performance. Prestige Auto utilizes safe, effective methods for a thorough cleaning, so your car will run efficiently again. What are the signs you need a carbon blast cleaning? When the airflow is reduced, the car will not be reliable, and fuel efficiency will also be reduced. Prestige Auto utilizes specialized equipment that blasts the carbon from the intake manifold and valves. While many manufacturers claim their vehicles do not need to be services for 100,000 miles, this is not the case for direct injection engines. The carbon buildup absolutely needs to be cleaned, or the engine will eventually stop running. How often you need this service will depend on how many miles you put on your car on a regular basis. Our ASE Master technicians are experienced in inspecting the condition of your intake system. We offer a detailed inspection report and will never suggest services you don’t need. Call today for trusted service in Salem, OR and the surrounding area. Schedule a Carbon Blast Cleaning today! Our team works efficiently, yet delicately. We get your car back to you in as little time as possible to minimize your inconvenience, however, we never cut corners on quality. There is a reason people bring their BMWs and MINI’s to us time and again. 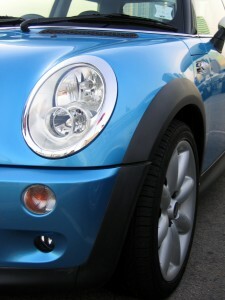 Call today to schedule an appointment for your BMW or MINI intake cleaning in Salem, OR.